$2.99 to $119.99 & FREE Shipping on orders over $59 $35. 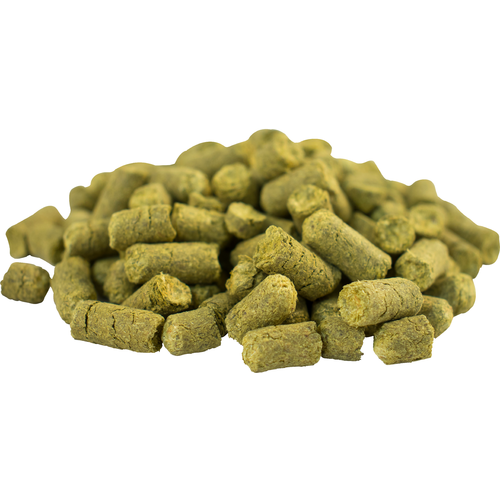 Universally the first choice for an aroma hop in English Ales. Very mild with pleasant, flowery overtones. Smooth and delicate with floral, lavender, spice, honey, earth, lemon and thyme overtones. Most hops stand out against the malt. This unusual hop actually blends in and complements the malt flavors. You truly cannot add too much at the end of a boil as an aroma/flavor hop. Often referred to as Kent Goldings, British Kent Goldings, BKG, or East Kent Goldings. Beer is better with hops. IMHO, necessary for creating authentic British style ales, this will go into a mild. Traditional hop for classic English ales. What else for English ales? I love this hop in English style beers. Looks like the best buy! Cant use too much of this old staple in an English Pale Ale. Great for ales. Useful for buttering and aroma. Authentic English hop to use in all of your English Beers. Has a light and pleasant floral aroma. Pairs great with Fuggle hops also! Used this in a stout to get that traditional English character. That's exactly what I ended up with. Don't overlook this classic hop! Looking down the road to a butterscotch ale...can't wait.